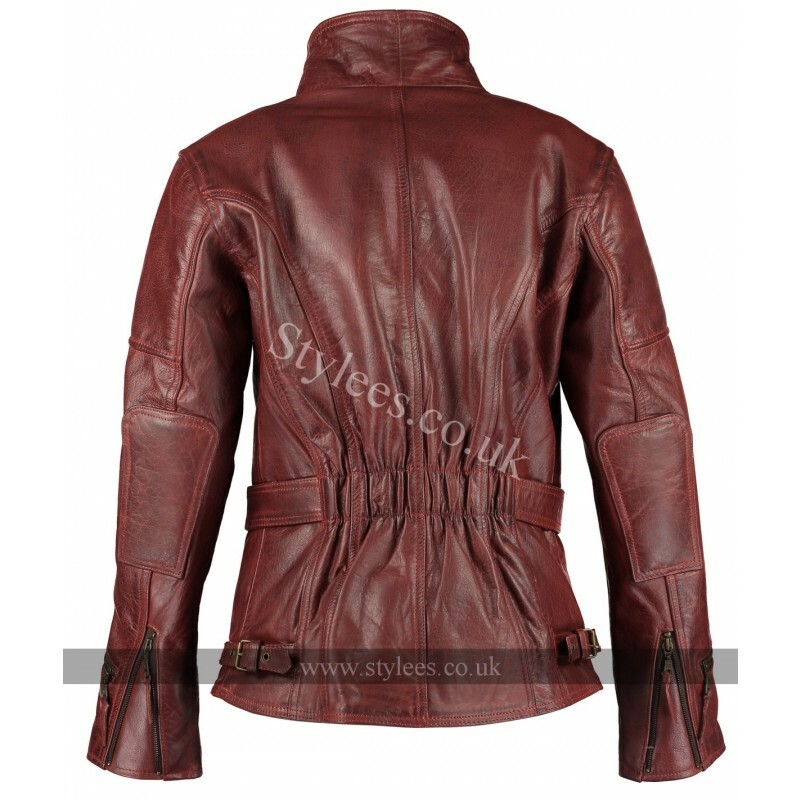 Expanding our Demi range with our distressed red shade, the perfect biker jacket which looks fantastic! Made from 100% real cowhide leather, making the jacket thick and durable, we have used heavy duty thread through along with YKK zippers. 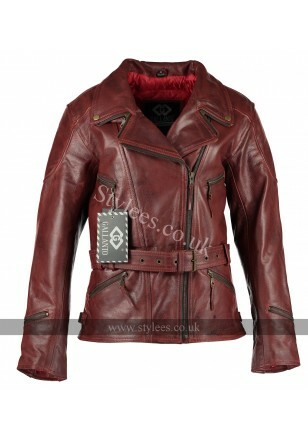 Expanding our Demi range with our distressed red shade, the perfect biker jacket which looks fantastic! Made from 100% real cowhide leather, making the jacket thick and durable, we have used heavy duty thread through along with YKK zippers. Making this jacket top quality for a low price! 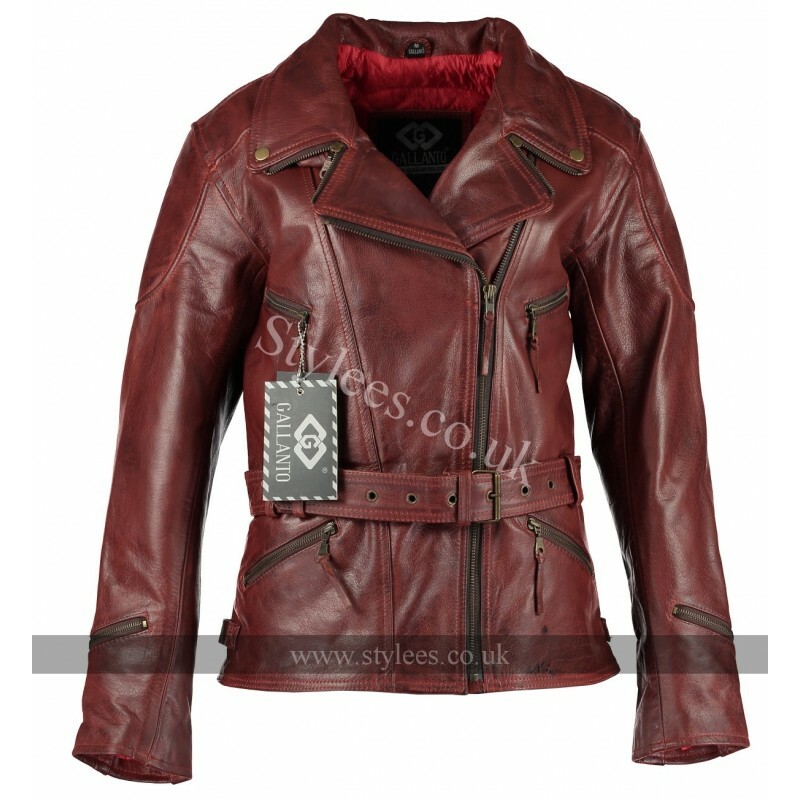 The red leather has a great vintage look which is appealing to the eye, the ¾ length sits perfect on the bike and the jacket will not ride up. Along with quilted polyester lining which comes with velcro pockets to place armours in the shoulders, back and elbows. We have added a great design feature to the collar which can be worn 3 different ways, so you decide which you prefer! The half waist belt allows you to adjust the fit along with the zippered cuffs so you can tighten the sleeves for a slim fit. With four external pockets and internal pockets to store small items.